You’ve spent the last several months trying to catch her attention and get her to go out with you. You’ve agonized over creating the perfect romantic date to melt her heart. And you did it! She adores you, and now she wants to take the next step. No – not THAT step! She wants you to meet the parents. You’ve come this far – can you win them over, too? Absolutely! If your girlfriend loves you, they will too. 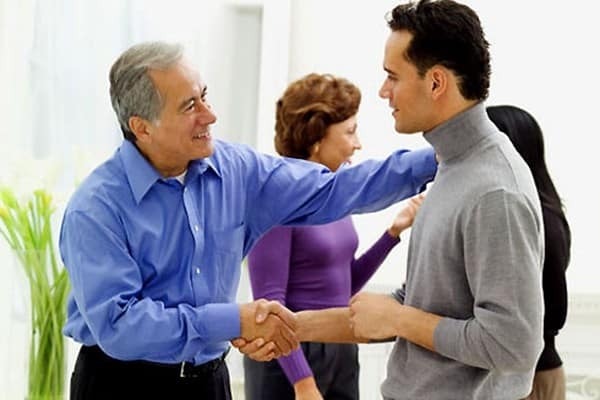 You just need to make a strong first impression and your winning personality will bring them around. 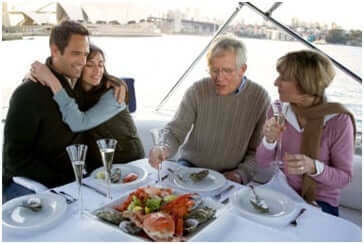 Here are few tips to make a great start when meeting your girlfriend’s parents. Start with the basics. You need to look nice, well-groomed, and clean. Dress appropriately for the occasion. If you’re going to a family barbecue, shorts are fine, but don’t wear the nasty old flip-flops that you bought from a beach souvenir vendor six years ago. Her parents will see that you are presentable which will mean you can get a good job and make a good impression in business. Even today, when many women have great careers in their own rights, parents don’t want their daughters matched with someone who’ll need her for a meal ticket. You and your girlfriend may be regularly attached at the hip, but around her parents, cool down the physical contact. It’s OK to hold her hand or affectionately touch an arm, but don’t hang on to her with your arm over her shoulder. This kind of physical contact looks possessive, as if you are claiming her for your own. Her family, who has known her much longer than you, will probably find that offensive. Definitely continue to do the considerate things for her that you usually do, such as opening a door or carrying a heavy bag, but don’t get too intimate. Avoid foot rubs, back rubs, or whispering in her ear. A kiss on the cheek is great. Tongue down her throat is not. Your girl’s family will be curious about your career, goals, and education. When you answer their questions, be honest and thoughtful. Don’t offer a flippant response, such as outlining your World of Warcraft ambitions. Even if you are not sure where you want to go with your career, let her family know that you’re still looking for your niche and point out specific examples of what you’re doing now to find it. If you’re already flying toward great achievements, don’t boast. Let your accomplishments speak for you and focus on your plans to build on that success going forward. When the conversation moves to other topics, keep it light. Listen to your hosts and ask questions that show your interest in what they are saying. If topics move to politics or religion, it’s OK to have opinions, but offer them sparingly. In this situation, you’ll do best to learn where her family stands before pontificating on your favorite social or political controversy. You can make a great impression if you look for small ways to help out. For example if your hosts have made dinner for you, help clear the table. Or help set the table. Don’t make a big deal out of doing chores. But if you stay aware of how you can help and jump in where you can, your girlfriend’s parents will be impressed with your consideration and willingness. If you drink and her parents drink, it’s OK to have a beer or cocktail. Just don’t have more than two drinks. Some day in the future, you might split a six-pack with her dad while watching the big game, but your first meeting is not the time. Your ability to drink with reserve will show her family that you’re responsible. If you’re driving their daughter home afterwards, it’s never a bad idea to avoid alcohol altogether. “No thanks, I’m driving” can make a terrific impression. Keep in mind that regardless of when and how you meet your girl’s parents, they are taking time to meet with you. They may even be hosting a dinner or party for you and it’ll make them feel great to know you are aware of their efforts and appreciate them. Offer a sincere thank you for their time or for opening their home to you. They will be more likely to respect you when you show your appreciation of them. Overall, try to relax and have a good time. 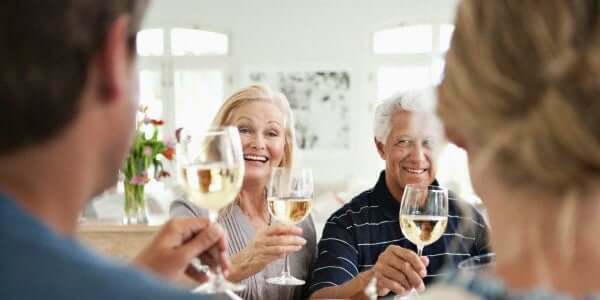 You may be nervous at first, but if you follow these tips and look for ways to connect, you’ll win your girlfriend’s mom and dad over in no time.